MVC are three layer architecture. Where V stands for view, C stands Controller andM stands for model. view is a user interface or we can say it is provide look and field or we can say it is a output what the end user actually see(watch). In controller, we write a logical code or perform logical operation like data base operation and it deals with both the layer (MODEL & VIEW). Model: Model provides the data and business logic. A Model is similar to the class which contains the properties and model can communicate with the Data Access layer. Model can provide the data to the controller as well as the view (Output screen).In generally model can get the data from View. other type of services likes WCF and Web Services. 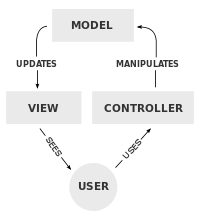 The controller is the main component of MVC. In MVC whenever user enters the request and sends the request from web browser it first sends to controller. Controller receive and perform the operation according to given request and what the result come out after perform the operations in the controller, it will send to appropriate view for see the result by end user. The controller receives the request from the end user and controller communicates the model class because model always carries a data. 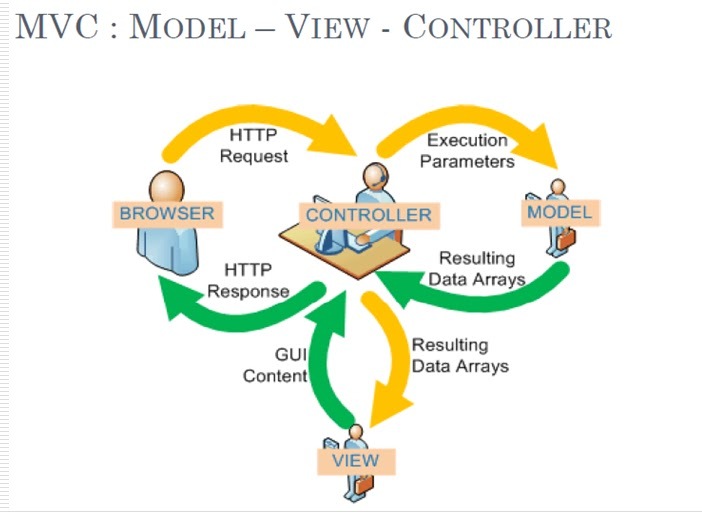 Model also plays the important role in MVC, model transfer a data between view and controller. Model can retrieve the data from database other web services and from collection. In MVC view component is used to design web pages which are the UI (user interface) logic of application. Example, the login view contains the entire user interface component like text boxes, button, images, label etc. View component play the important role for send the request and render the output (Display the output). Asp.net provides three major development model web pages, web form & MVC.MVC framework is advance version of Asp.net. The latest version of MVC framework is 5.0. MVC framework is a high level architecture. MVC framework have default view engine like razor or aspx. You can customize the existing code.MVC logically divide into three component that is model, view, controller component. MVC framework is support to large project with large team. MVC helps in building application which is lightweight and give easy control to the developer. MVC is a top most framework in the asp.net which provides set of functionality and MVC mostly focusing on testing and component based Architecture and developer. ASP.NET MVC integrated with the existing asp.net feature such as authentication master page etc. MVC framework is a high level architecture, now we are going to study how the running or execution of an MVC application takes place. In asp.net webform there is a viewstate concept are available which holds the state of data which increase the page size and make page size double. These view state make the web form heavy and decrease the speed of in Asp.net MVC .There is no view state concept are available and alsothere is no page cycle. Hence the page size is decrease and makes the page lightweight as compare to asp.net webform. It also increases the speed of execution and makes the application lightweight. Step1: The client sends the request to browser to MVC application. Step2: The request receive by Global.ascx.In global.ascx perform the routing operation on URL for incoming request using route data, route table and MVC route handler object and URL Routing Model. Step3: Appropriate controller called by routing operation and run it by execute method like MVCHandler class and IControllerFactory interface. Step4: The data process by controller over the model and call the method by ControlleraActionInvoker. Step5: After the process over the model then it pass to view which renders the final output. What are the benefits of using MVC framework? In MVC framework component are divided into three parts which provides very clean and separated logic. In MVC framework, automated tested is quite simple. The benefit of MVC framework it make stateless means in MVC viewstate is not used. Viewstate is generally used in asp.net Webform which store the data and increase the size of page. MVC framework provide a component based model and divide into 3 components i.e. model, view, controller with separate UI, business logic and functionality. This component makes code easy to understand and make testing easy. MVC framework decrease testing and writing cost. These Architecture help to developer build flexible and reliable application. MVC framework builds application lightweight and fast. Looking for MVC code projects development service? Are you getting stuck with MVC code project assignments? Looking for Asp.NET expert who is having an experience in MVC framework? 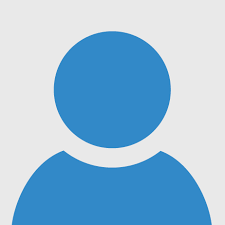 Do you want MVC code project assistance online? Now you are at right place! We at Expertsminds.com offer MVC framework Asp.NET assignment help, MVC framework code solutions, web project development and assistance from online Asp.NET expert. Our Asp.NET programmers are real time experienced person who are currently developing live projects in reputed IT industries. They make your code project running and effective according to your requirement and they are 100% sure to provide you unique and fresh code as per your university and college demand. They have gained a long experience in developing MVC code projects so they don’t have any trouble in developing complex code projects. We offer MVC Framework assignment help, MVC Framework assignment writing help, assessments writing service, MVC Framework tutors support, step by step solutions to MVC Framework problems, MVC Framework answers, Asp dot Net assignment experts help online. Our Asp dot Net assignment help service is most popular and browsed all over the world for each grade level. Our programmers are highly experienced and qualified and working in real time working environment of Asp.net /MVC framework. They are well known with the working and procedure of MVC framework and they don't need much time to solve your programming projects or assignments. Our team of programming tutors is well settled in working environment and they have deep experience in writing projects or college assignments. They not just provide solutions but also provide you clear understanding of working of solutions. They give you running code project with proof of working screenshot. We have helped thousands of students in programming field and we receive good words or feedback for our programming tutors. They are well known for their excellence in code project writing service. Are you looking for MVC framework asp.net assignment help? Looking for asp.net project in MVC framework? We provide MVC framework asp.net assignment help service, code project development service, MVC framework solutions and expert or tutor service online. The professional programming tutors are helping students to write MVC framework code project or programming assignments, or assessments. We want you to be highly satisfied with our programming expert service, and we fulfill your all needs for your programming assignments. Our services are available to students all over the world; we cover all degree programs, and courses and grades level. When you required the highest quality oriented programming assignment help, and the most secure service, then our platform is your right choice.